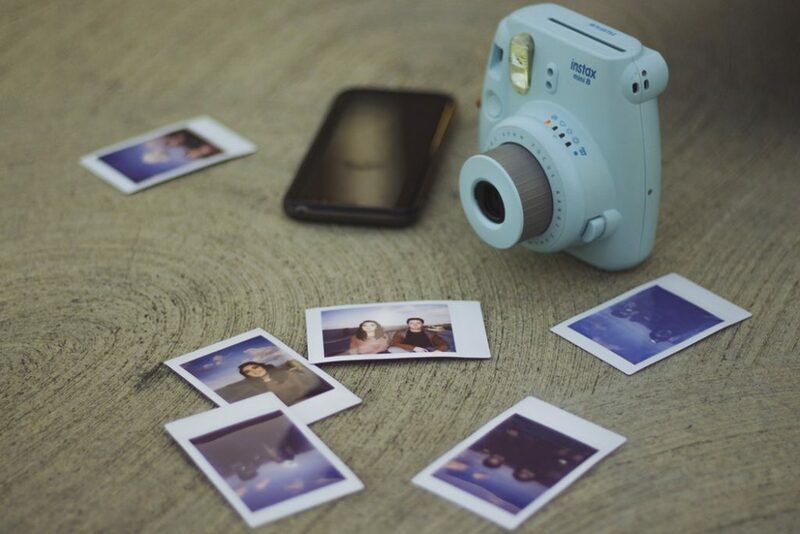 Top 5 Instant Cameras You Can Buy in 2019. As a photographer, I cherish the meaningful moments. That is the main reason why I started to take photos 7 years ago. Looking back the images I captured with my cameras in 2018, I can honestly say that I had a great year with my family & friends. We moved from one state to another state, the wife started a new job, and the kids adjusted to the new schools. First, it was daunting in the beginning, but now I am so glad we moved. I look forward to seeing what’s stored for us in 2019! I believe that this new year will be better than 2018 in so many ways. As my kids are adjusting to their new daily grind in their new home, I want to make sure that I don’t miss this time connecting and making memories with them. Kids are growing super fast and I think it’s a shame that I don’t get to play with them because we ‘adults’ are so busy. My wife and I are making a commitment to be intentional with our precious time with the kids in 2019. With that said, my wife has this awesome idea about making a collage with our instant camera. She wants to keep 1 or 2 images each week and see them grow. And later on, when we look back, it would be awesome to have a nice picture journal that shows what we did in 2019. I am thrilled to start this new project! I am not sure if you are a single, a couple, or a family person like myself, but I think anyone can start the project and have fun while you are doing it. The project is really simple and self-explanatory. You grab your instant camera and take a photo of your special occassion (for us, we are taking pictures of our daily grind; like eating breakfast together in the morning). Then you grab your notebook and glue/tape onto each page. You can write one or two sentences along with the picture. That’s it! Very simple yet so nice to give it to someone special. I am hoping to give our collage to the girls when they are a little bit older. Sounds good and you want to try it? But wait, you don’t have an instant camera? Don’t worry. I am here to help. These instant cameras are affordable and won’t break your waller. It may be the best tech purchase for you in 2019. Here are 5 best instant cameras you can get this year. These cameras are not in a particular order but each and every one of them is an excellent choice. I picked these instant cameras because they are unique and different from the other ones. So go ahead and grab one to start the project with your loved ones! First one is from a well known instant camera maker, Polaroid. Polaroid Mint Instant Print Digital Camera is a great instant camera for you to start this project. It lets you take 16-Megapixel photographs and print instantly on 2”x3” stick-back paper. The sticky-back paper lets you take the photo and put it on your journal immediately without any taping/gluing work. 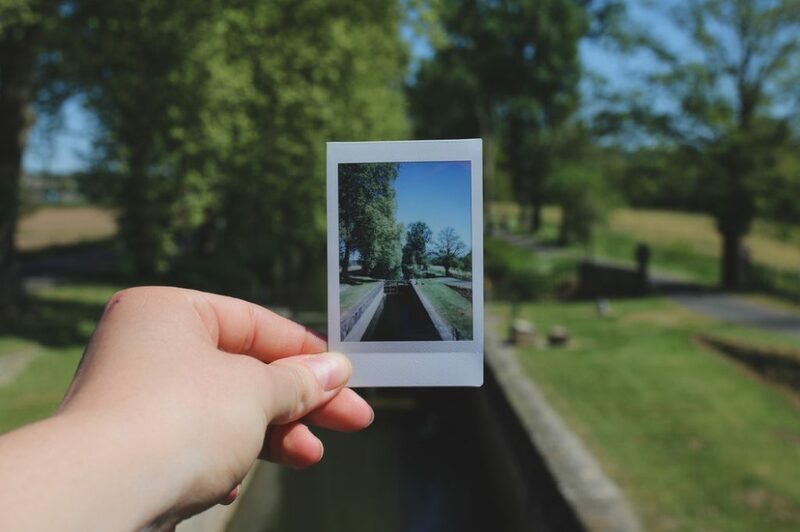 The beauty of the instant camera is that you don’t need any pricy toner, zinc cartridges along with paper and ink at all. You can get the pack of film rolls in 20, 30, or 50 sheets and you can save a lot of money. The Polaroid Minit is an unique camera because it features a vertical design that matches the way a lot of smartphone photos are taken. With a powerful battery and beautiful color quality, this camera will be ready for your next shot. Did I mention that you don’t have to buy batteries? The camera comes with a rechargeable battery. This camera is indeed a fashion-forward and travel-friendly device that you can bring it anywhere! So if you travel a lot and want to start the project, I recommend you getting this one. The size of the camera is 4.6” x 3.1” x 0.8” and weighs less than 7 ounces! I like Fujifilm Instax Square SQ6 because of its format. 1:1 square format is different. The camera has a strong and high-performance flash. It automatically calculates surrounding lights and adjusts the camera shutter speed to accommodate the surroundings. This feature is known as 1:1 Square Format Programmed Electronic Shutter Release LED Display Inverted Galilean Finder with Target Spot Automatic Exposure Control. Whew, that sounds so techie and long. But you get the idea. The flash lamp range can go from 1 ft to 8.9 ft. Additionally, it has landscape mode and flash-in macro mode. I can see my kids using the camera when they are older. The 1:1 square format is easy for them to cut the film and make a nice school project as well. If you like your collage project to be simple and organized, this may be the one for you. Many photographers prefer their photos to be bright in both day/night modes. Personally, I don’t like this because I do want to get nice dark shades where there is a deep color in the photo. 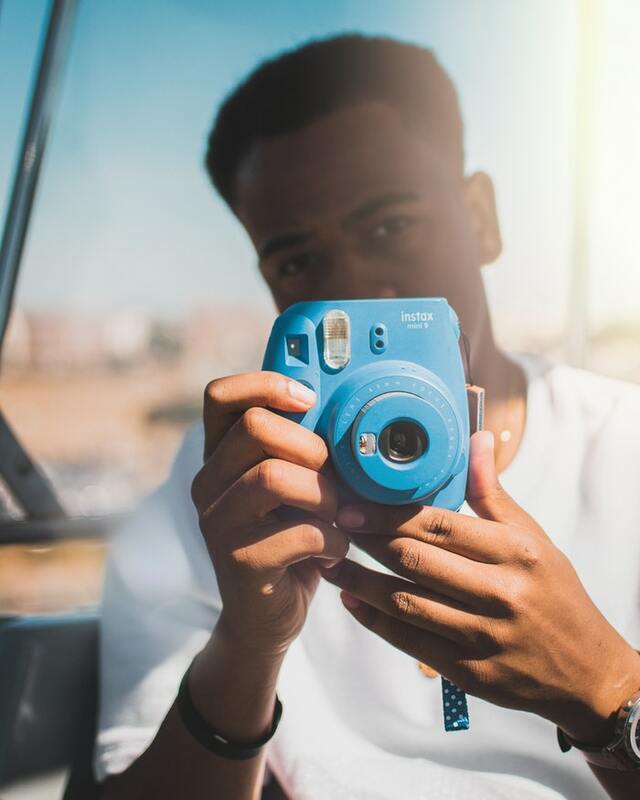 Well, Fujifilm Instax Mini 9 can deliver that bright color for every shot. You have to get AA batteries periodically but the pictures came out super clean and bright. It adjusts its own brightness to make sure that you get the best photo each time you take one. I can see this one being popular with teenagers and young adults. I tend to think that many of them wear nice bright and colorful clothes. That’s right. Kodak. The company manufactures this instant camera. Kodak PRINTOMATIC Digital Instant Print Camera is one of a kind. It has the 10-megapixel, the point-and-shoot camera offers a combination of a powerful sensor with a wide angle f/2 lens that instantly prints out a high-quality color/ or black directly from the camera. This is a great instant camera for anyone who is a beginner and would like to take great photos with the instant camera. The reason is because it is so simple to use it. You simply point and shoot with it. It’s fast and super fun to play with. Plus, you don’t need a printer or computer to deliver high-quality photos. The size of the photos come in 2”x3” size. The photo prints very durable, water-resistant, tear-resistant, smudge-free, and adhesive-backed. This makes anyone take photo easy and keep them safe without worrying to damage their pieces of artwork. I think the design of this camera is bold. It is another compact in size and it will easily fit into your jean pocket. Very easy to carry around everywhere! One more thing. I like this camera because it has a microSD card slot which allows you to save photos if you do not wish to print them immediately. It may be a practical instant camera. Finally, here is our last contender. 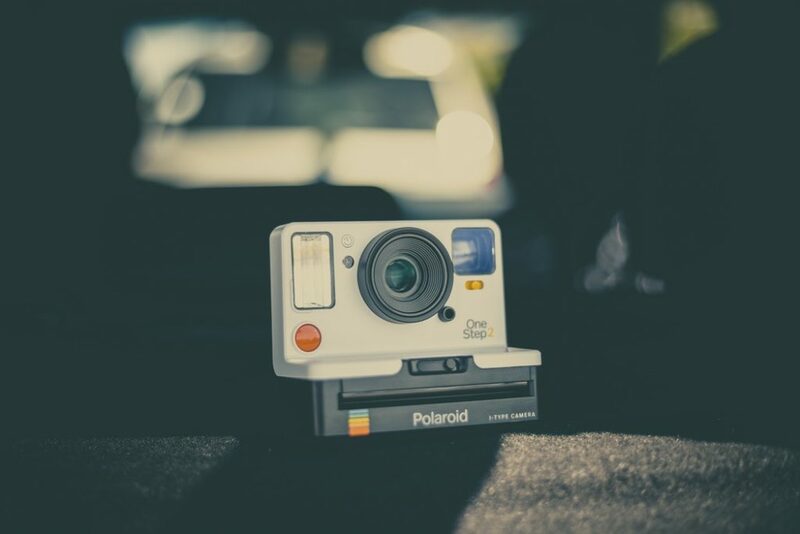 Polaroid Originals OneStep+ (9010) Have you had an experience when you were in a perfect moment to take photos, beautiful scene, awesome company, and you take your camera out to take photos. Oh no. Wait. There is no battery in the camera. That may be my worst nightmare and I had several occasions where I missed beautiful shots. Well, you don’t have to worry so much with Polaroid Originals OneStep+. It has its Original Polaroid format- easy to use 60-day battery life! Powerful flash and self-timer mode make this instant camera one of the best ones out there. It can be connected to a Bluetooth app. It can be used manually and control your own exposures. This one has two separate lenses: standard & portrait lenses. You can swap them back and forth to take photos from different distances. This one is the only one in this list that can be connected to your smartphone app, (iOS and Android devices) and transfer the images to your phone. Pretty neat feature but I am not a fan of it because it defeats the purpose of the instant camera features. 2019 will be an awesome year for you. I believe it because it’s the year that you are going to make great memories with your family and friends. You may say that you can take photos with digital cameras and smartphones. Yes, it is true and I am not discouraging you to take photos with them. Here are great digital cameras you can pick from. I am simply an advocate of the instant cameras because it’s unique. You get that hard piece of photo image as soon as you take a shot and you have it in your pocket. Like I mentioned earlier, you can make a collage and give it to someone special. Trust me, they’ll love it!